Deerhunter frontman Bradford Cox has spoken in length about “dark times” experienced during the recording of Monomania, the group’s sixth full-length album. The title alone refers to Cox’s obsessive tendencies, perhaps one of the reasons bassist Joshua Fauver departed and is replaced here by Josh McKay. He and new guitarist Frankie Broyles fill in admirably, but the lineup shuffle suggested to Bradford at the time that Deerhunter may be on the fritz. Cox’s owl-like sleep schedule contributed to such worry, showcased on truly dark efforts on Monomania like “Nitebike” and the self-titled cut. 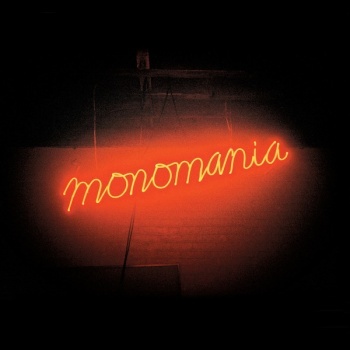 Surprisingly, there remains a significant amount of enthusiasm and bright infectiousness throughout Monomania, an album that – judging by its neon-lit cover and developmental back story – isn’t as dark as it suggests. The first half of Monomania touts playful tendencies that work well, namely on “Pensacola” and “Leather Jacket II”, the latter led by an aggressive guitar twang reminiscent of Bowie’s Scary Monsters period. The effort’s most alluring appeal is its masterful use of distortion, where warm waves of guitar clash with Cox’s wispy wordless delivery; the distorted relationship between guitar feedback and vocal fury remind heavily of Blur’s darkly atmospheric album 13, and tracks like “Swamp Song”. The three minutes of “Leather Jacket II” fly by in a flash, as contagious new guitar progressions continuously emerge from the thick of distortion. This and opener “Neon Junkyard” open the album with a fierce roar, straddling a fine line between Bowie-like enthusiasm and typical Deerhunter garage-rock goodness. In the case of “Pensacola”, “Dream Captain”, and “Blue Agent”, they serve as a cohesive trio for Deerhunter’s most playful fantasies. Rather than being holed up at 3AM in some musty studio, these songs sound like they were recorded under palm trees with a piña colada in hand. Creaky, half-drunken vocals assume the lead on “Pensacola”, where jaunty prompts like “let’s go!” signal a twangy folk-infused guitar lead. The songwriting is quite basic for a Deerhunter track, and it causes these efforts to wear on the listener rather quickly. But with extraordinarily more ambitious efforts like the self-titled track, “Nitebike”, and “T.H.M.” yet to come, this mid-section of Monomania strikes a strong balance between the playfully enthusiastic and night-owl recluse. And while “Blue Agent” strains too much with its clicking pace, the gleeful chugging rocker “Dream Captain” is easy to cherish and grin along to. Deerhunter multi-instrumentalist Lockett Pundt always seems to contribute a few stunners to each album, and that is no exception on Monomania. While not as outrageously idiosyncratic as Cox, the fluid reverb-friendly dreaminess of Pundt’s work often provides an infectious break, precisely what “The Missing” and “Sleepwalking” accomplish. After the distorted fury of “Leather Jacket II”, “The Missing” plays with a jangly psych-friendly guitar lead. The chorus adds a wavering synth pad that does extraordinary things to Cox’s initially strong melody, somewhere between punchy college-rock and moody synth-infused atmospherics. “With my weak eye, I will only see the missing,” Pundt croons just before a bouncy bridge, where the synth pad backing and jangly guitar lead combine for one last cohesive collaboration. 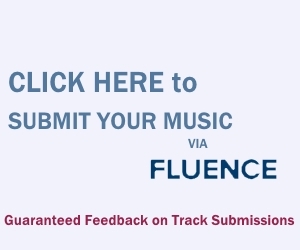 “Sleepwalking” takes a similar approach, albeit more melodic in overall delivery. The nonchalant lull of Pundt’s voice continues to succeed immensely, especially during the final minute when he picks up the intensity during a guitar breakdown. “Can’t you see your heart is hard now?” he sings, recalling ‘60s psych-rock with inspired melodic repetition. As usual, Pundt delivers. The second half of Monomania contains its most fascinating efforts, particularly the self-titled track as it unleashes a barrage of metal-inspired vocal twists before coming down with a melancholic refrain, where Cox sounds let down as he sings lines like “as they take you away.” The section of the track where the word “monomania” is repeated may sound initially tiresome, but it works resoundingly well within the track’s constantly revolving structure. “Monomania” is a track that wears gradually on the listener, unlike the instant likability of “T.H.M.” Its sudden gratification comes through a trickling guitar melody, trippy in its arpeggio-like lull during the verses and nearly sounding like The Strokes on acid during a garage-friendly chorus where the vocals peek in and out with wonderful spontaneity. In addition to Pundt’s efforts, “T.H.M.” is one of the most easily accessible on Monomania. Judging by the pre-release interviews mentioning darkness and transition, the excellent “Nitebike” is what some expected the entirety of Monomania to sound like. This is one of the only efforts where dark nocturnal visions are captured throughout, and it’s done so effectively that one can see why Cox was using shadowy descriptions. It surely plays along Cox’s fascination with suburbia, references to big wheels and clear nights over acoustic whispers abound. Cox’s stunning vocal performance carries this marvelous effort, alternating between a strained delivery that shifts pitches between enigmatic verses and high-pitched melodic accompaniments that resemble a tortured wordless croon. The atmosphere in “Nitebike” is creepy yet joyously infectious, somehow simultaneous in its irresistible delivery. It’s an apt choice to help bring Monomania to a close, settling down an album with an eclectic approach and varied atmospheric direction. While the variation may sound unkempt to some listeners, Monomania will wear on them with mounting enjoyment, as any nostalgically-lit album worth retrospective should. I’m a big fan and I like this album, especially from middle to end, but 8.5 is too much imo. I agree about the middle to end being the best part.